Over the summer, Coburn Projects London presents a group show with a selection of new and vibrant paintings. 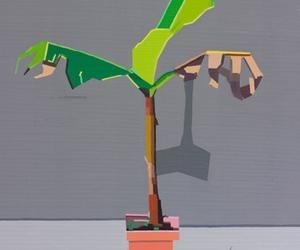 Refiguring brings together a young generation of painters who have either studied or currently live in New York City. Although each of the artists has a different technical approach, their paintings result in a fascinating in-between state of figuration and abstraction, capturing an unknown but precise setting. Evoking visual contradictions for the viewer, these particular paintings are storytelling, ritual or humorous collages and shades, whether materially or spiritually speaking.